Leading management body the IIP (Investors in People), have also highlighted in a recent report that 1 in 3 people are unhappy in their jobs, with national newspapers publishing figures which claim that a staggering 80% of Londoners feel undervalued and trapped in careers they dislike. Every year popular beauty magazines dedicate precious editorial space to trending topics such as; mental health awareness, depression and the importance of achieving a work/life balance, however despite so much media attention being focused on personal wellbeing and the long term damage that can be caused as a result of being in a constant state of heightened anxiety, many of us still fail to make the break and follow our dreams. I often receive emails and phone calls from potential students enquiring about permanent make up training. After answering the standard run of questions, the inevitable always happens and it’s revealed that the real reason for wanting to make the move is that burning desire to live a better life. “You don’t achieve your dreams by playing it safe”. Whilst there are numerous benefits to becoming a permanent makeup artist, it’s important to be realistic and realise that overnight success and instant celebrity status in the beauty industry isn’t going to happen, however unless you’re prepared to step outside of your comfort zone, the harsh reality is that you’re never going to reach your full potential. Making any big career decision is scary and often leaves us with nagging doubts and a host of insecurities that keep chipping away, but if left unaddressed they can result in job complacency and in the worst case scenarios letting a fantastic opportunity pass us by. I know exactly how you feel, because I’ve experienced every emotion you’re going through right now. From the adrenaline rush you get when daring to dream what your future life could look like, to the overpowering thoughts and paralysing fears which sweep through your body in waves, when you imagine what could happen if it didn’t work out. I’ve been there, 13 years ago to be precise. Standing on the edge of that imaginary crossroads surrounded by distractions and noise from everyone around me who vocalised their opinions about my decision to quit a relatively stable but unfulfilling job, was scary. My heart was set on becoming a successful permanent makeup artist, however circumstances meant that it often felt easier to just stay exactly where I was and avoid taking the risks I knew I’d have to overcome, if I wanted to change my life. Don’t get me wrong my situation wasn’t awful, I had a 9-5 job and secure monthly wage, fantastic family and amazing group of friends, but something was missing. I was stuck in a role that had limited career progression and made me feel undervalued and sad. Even if I’d worked longer hours and more shifts, my salary was capped and there were no incentives for company loyalty. I’d stumbled across permanent makeup by total accident, which back then was very much in its infancy and not as popular and in demand as it is today, in fact many people had never even heard of it and were certainly not willing to try something so daring and new, but despite everything I couldn’t get it out of my head. I knew that I’d have serious regrets if I didn’t give it a go and make a commitment to myself to at least try to break into what seemed like a distant mirage, despite being plagued with thoughts of ‘could I do well?’ and ‘would I make a success of it?’. Those closest to me, with the best of intentions at heart expressed their concerns about making such a big investment with now concrete guarantee of a monthly income and I continued to battle with thoughts of what I’d do if I couldn’t find any customers, or be able to afford to rent a room in a local salon. The whole process went on for several months, until I decided that the decision was very simple; I either stayed in a job I hated, or committed to the training and dedicate my time to making it work. After all what did I really have to lose? I wasn’t happy where I was, so making the move seemed like the only sensible option. You see these feelings that you’re experiencing right now aren’t unique to you, every permanent makeup artist on the planet, even those at the top of their game, have had them when starting out on their journey. None of us like the uncertainty of the unknown, but you can’t let nerves and self-doubt take over. In the same way that you’d approach any life changing decision, it’s important to be objective and approach your new career as a true professional, which means taking into account all the fact, both good and bad. Whilst a guaranteed salary can never be set in stone, especially when starting out as a freelancer, it’s crucial to set aside time to map out your outgoings and potential estimated income. Price of treatments will depend on location, experience, overheads, local competition and customer demands, however as a general rule many new PMUs charge between £200-300 for a set of brows. Add into that, additional revenues that can be generated by eyeliner and lip blush treatments which will inevitably form the foundation services of your new business and a picture of your projected finances will become clearer. If you’re a full time mum who’s ready to earn some extra income, a beauty therapist or makeup artist who wants to expand your services, or someone who’s looking for a part time opportunity to dip your toe into the water and see what freelance life is like, whilst retaining your current job for security to start out with, then permanent makeup won’t disappoint, as flexible hours and weekend work are part of the job. It’s a career that if planned right will give you more time to spend with your family and friends, whilst still making a good living. 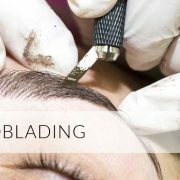 Also don’t forget that as you gain more experience and confidence, you’ll have the opportunity to undertake advanced training in specialist procedures such as scalp pigmentation, cosmetic camouflage and paramedical tattoo work, which are all lucrative niche procedures, which will add extra income to your monthly revenue streams. In sharp contrast to when I started out, permanent make up has become a popular beauty treatment, with many celebrities endorsing the benefits it brings. This month alone I saw 3 adverts in the classified section of Vogue from successful practitioners advertising their range of available clinic treatments. Media and celebrity coverage creates desire and as a result the demand for permanent makeup procedures for both male and female clients alike has never been greater, making it easier to establish a list of loyal customers who want to emulate the groomed and natural flawless looking enhancements that their favourite celebrity, or tv personality has had. Long gone are the days when there were only a few main providers of permanent makeup devices and pigments. Nowadays every well-known artist has been quick to jump in on the action and develop their own personalised range, making it easy for new prospective technicians like yourself to affiliate to a brand, which will automatically welcome you into their larger network of global practitioners and provide you with the opportunity to create a unique selling point and clear point of difference between yourself and the competition. In order to ensure that your continuing development needs are met and that you keep up to date with the latest techniques and trends, many respected artists have started to host multi branded conferences, both in the UK and overseas, which are dedicated to providing live demonstrations from global PMU superstars and networking opportunities. These events are invaluable to both newcomers and established PMUs, as they allow you to meet others in the industry and build long lasting friendships which are so important to feeling that you’re not on your own as a newcomer to the industry. With tattoo removal being big business this is yet another avenue which experienced PMUs can gain training in to further expand their portfolio of services. Never again will you feel that you’re stuck in a career in which you can’t progress and grow your knowledge. Fast forward 13 years and I can still hand on heart say that I love my job and don’t have any regrets. Was it easy building up a first class reputation and thriving business? Of course not, nothing comes without hard work and many ups and downs, all of which are inevitable for any small business owner but if you stick with it, stay focused, enlist the help of other professionals such as web designers and communications experts, who will collectively help to establish your brand image, online presence and content creation, listen to the advice of your trainers and experienced industry colleagues, then success will come. Is the industry competitive? Absolutely anything that has potential to earn good money and create a lifestyle so many desire, will be popular. There are numerous PMUs in every city with numbers growing daily, however they are not you and in the same way that all high street restaurants and popular fashion labels create unique styles, you will be able to establish your own loyal clients if your prepared to put the work in. From a personal point of view, aside of wanting to share my knowledge and skills with others, the main reason I decided to branch out into the world of training, was because I wanted to be able to be able to help people like yourself who are in two minds about making that all important decision about their next career step. If you want to become a permanent makeup artist and achieve the same dream, that that I too had all those years ago, then I’ll be with you every step of the way to support you and help turn the vision into a reality. A career in permanent makeup is so rewarding and fulfilling, you just need to give it a chance and commit to working hard. 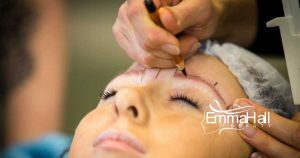 I hope that this blog post has helped to eliminate any doubts you may have had as to whether permanent makeup is the right career move for you. 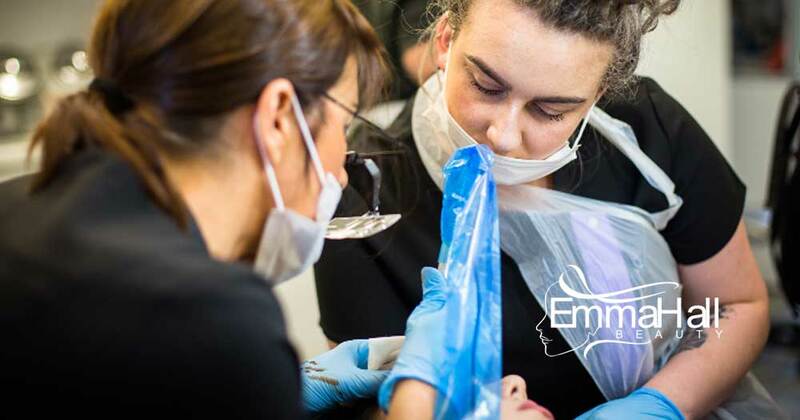 I’ve always led by example and acted on the authentic and genuine advice I give to others, which is why I believe many students choose to study permanent makeup with Emma Hall Beauty. This passion is ingrained into my brand ethos, as I’m dedicated to providing you with first class training and continued ongoing support. Don’t let those annoying doubts prevent you from a life you deserve. To find out more about my foundation training courses, or to arrange a complimentary consultation at my clinic contact me directly on 03333 214 622. I look forward to speaking to you soon.